I've been using Céleteque facial wash for a long time. It is the only product line that suits my highly-sensitive, acne-prone skin. 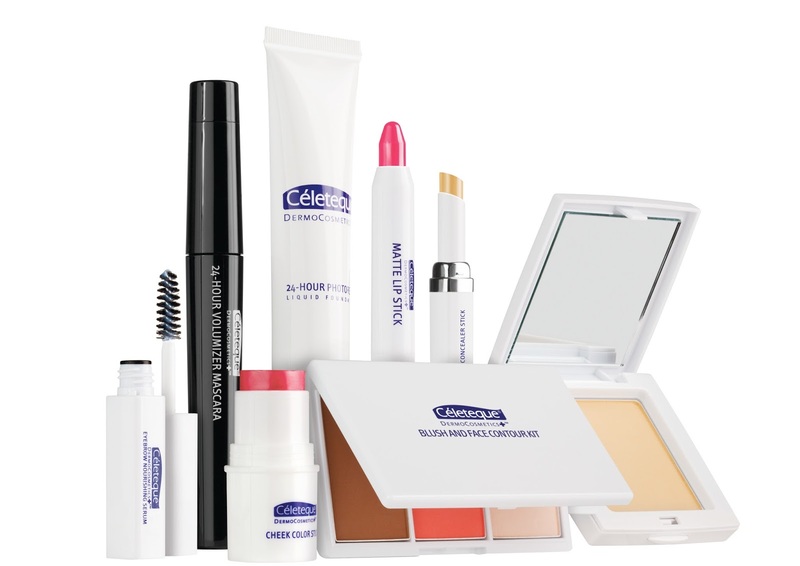 Céleteque product line has everything that a woman needs. I love their oil-free. non-comedogenic, dermatologist-tested, hypoallergenic and clinically-proven products. It is for these reasons that Céleteque has become one of my skincare staples. Céleteque took a notch higher with another pioneering Dermo breakthrough. With the new Céleteque DermoCosmetics, cosmetics is fused with skincare. The media were invited to a packed afternoon of beauty and pampering as they tried the new make-up line by Céleteque DermoCosmetics last October 9 at The SM Makati concourse. Sam Oh hosted the event. She was joined in by Atty. Karen Jimeno, triathlete Dr. Ian Banzon, plus trainer and life coach Ning Tadena. The Céleteque DermoCosmetics Anti-Aging line provides the must-have bases needed to give that youthful look. It has the Dual CC Matte Powder (P 749.00), the Dark Spot Concealer Stick (P 595.00), and the 24-hr Photoready Foundation (P795.00) that promise to keep your skin young-looking. The Céleteque DermoCosmetics Nourishing line products care for the more sensitive parts of our face. It has the Eyebrow Nourishing Serum (P 595.00) as well as the 24-hour Volumizer Mascara (P 645.00) for the eyes. Also part of the line are the Cheek Color Stick (P 645.00), Matte Lip Stick (P 595.00), Blush and Face Contour Kit (P 845.00), that livening up the face with vivid colors while bringing out the skin’s radiant glow. Céleteque DermoCosmetics is the answer to every woman’s beauty needs! Each one plays up the features while providing hydration and protection from harsh elements. Enjoy long-wearing coverage, illumination, brightening and color while taking care of the skin all throughout the day. Be twice as beautiful, with everyday makeup that cares for your skin. Check out facebook.com/Celeteque and www.celetequedermo.com for more information.